PLOT: Lara’s mission is to recover the fabled Scion, an incredible treasure reputed to give its possessor vast power. Get ready to cross the globe and take on impossible odds while exploring Incan ruins, Ancient Rome, Egyptian Pyramids, and the Lost City of Atlantis. With her acrobatic agility and arsenal of weapons Lara must battle wolves, bats, bears, alligators, raptors, and even a T-Rex in the life or death quest for the Scion. Tomb Raider follows the exploits of Lara Croft, an English archaeologist in search of ancient treasures. However, originally the character was going to be named ‘Laura Cruz’. But as her backstory began to take shape it was decided that she would become more English and her name was changed to reflect this by finding the closest sounding name to Laura Cruz in the phone book! Originally planned as a cold-blooded military personality, the team decided to play up the “proper English lady” aspect of her character to establish that there was more to Lara than just her actions during Tomb Raider’s gameplay. The game received widespread critical acclaim, with some declaring it as one of the greatest video games of all time. The game was also a huge commercial successful, selling around 7.5 million copies worldwide. The game has since been declared widely influential, serving as a template for many 3D action-adventure games that would follow, including Lara’s own numerous sequels. You can hear the MovieMuse team take a look at the whole Tomb Raider franchise in episode 19 of the MovieMuse podcast, or check out the video below for our detailed thoughts on Lara’s first tomb raiding exploits. Simon "I still enjoy it. 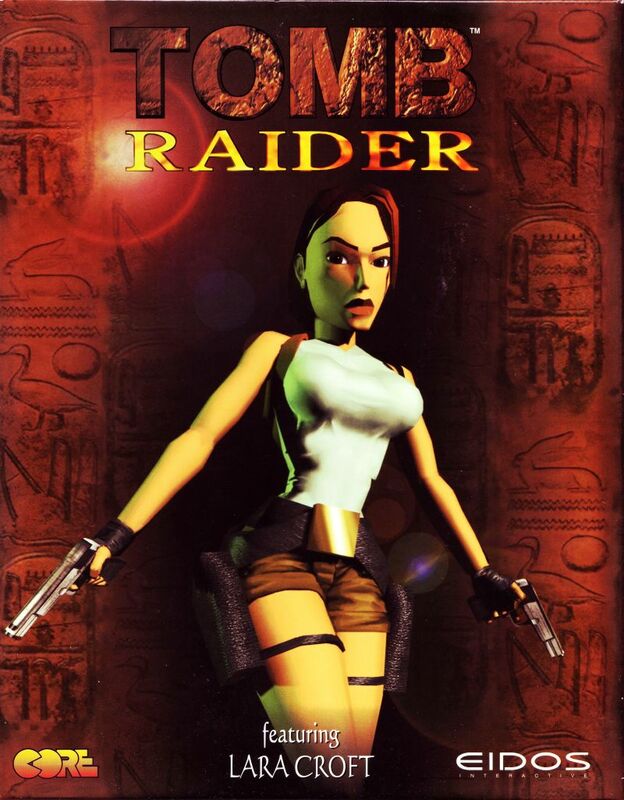 The grandaddy of its genre"
Mat "totally outdated by today's standard, but was impressive in its day"
Gordon "it is much more fun on an emulator using save points"
Lara Croft is more than just a female Indiana Jones, she is an adventure icon in her own right. Whilst the controls and graphics may have dated, Tomb Raider set a high standard for 3D platform-adventures that is still a lot of fun today, especially if utilising the save state functions of modern emulators.